We have a short week coming up. Reminder, there is no school on Wednesday, Nov. 25 for conference make-up and then the Thanksgiving break on Nov. 26 and 27. If, after the holiday, you are tired of cooking and turkey, please join us at Mazzi’s Restaurant on Monday, Nov. 30. Mazzi’s will donate a portion of your meal back to Charlemagne and it’s an easy way to make some money for our school. See information and the voucher below. Also coming up Dec. 3 is our annual Holiday Market and poinsettia pickup.If your children or you would like to participate in this fun event, please sign up in the office with Bernadette. This event is lots of fun for the kids and even if you do not want to host a table of goods, please come shop for some fabulous homemade items. There is something for everyone. Also if you ordered a poinsettia or wreath, please stop by and pick them up from 2:45 to 4:45 p.m.
Do you have some musical talents? If so, please see information below from our Esprit de Corp committee for some opportunities to provide our kids with some music during the lunch hour. On Tuesday, Nov. 24, Principal Eric is going to get “Stuck on Reading”during the lunch hour. If your child read 100 minutes or more during the Read-a-thon, then they will get a piece to tape to tape the principal to the cafeteria wall. This would be a great time to wear your Charlemagne Swag (t-shirts or sweatshirts). We will be taking lots of pictures for the yearbook. If you were not able to join us last week for our PTO meeting, click here for the minutes from that meeting. With a busy time of year coming up, we will not hold a PTO meeting in December, but we will see you in January. If you do however have something you need to share, please contact Shannon or Gina and we will be happy to share in eNews. 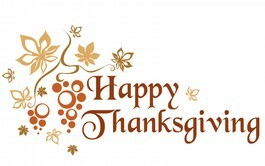 Thank you and we wish everyone a Happy Thanksgiving! Nov. 30: Restaurant Fundraiser at Mazzi’s, 5:30-9 p.m.
Dec. 9: Site Council, 3:15 p.m. If you buy your Christmas tree at Spring Creek Holly Farm, Charlemagne receives 50% of the proceeds. 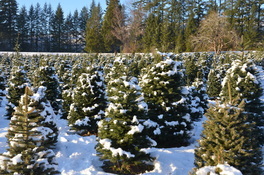 Noble firs are $5/foot and grown using low-impact, sustainable farming practices. You can choose and cut your own tree, or choose a pre-cut tree. Handmade holly wreaths, table decorations and bulk greens are also available for sale. Spring Creek Holly Farm is open 9 a.m. to 5 p.m. every day, from the day after Thanksgiving until Dec. 23 at 43111 McKenzie Highway Leaburg. For more info, call 541-896-3483, visit www.schf.com or click here for the flyer. Wouldn’t it be great if we could gift the kids with live music every day to delight, soothe, and inspire them? We can make that dream a reality if we have parents willing to share their musical talent. The working plan is to provide live music daily during lunch, 11:20a.m. to noon, for the last school week in December, which is Dec. 14-18. Musicians of all sorts as well as singers who are willing to give this a go are to contact Julie Kim at safra76@hotmail.com or 248-515-9466. Let’s make it happen! Want more shade? 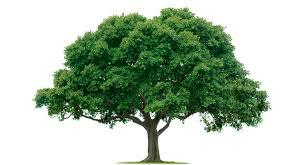 Please consider making a donation towards planting a tree at Charlemagne. We will be conducting a tree planting in January 2016 through a partnership with Friends of Trees. We’ll plant trees native to this region, including species such as Oregon White Oak, California Black Oak and Valley Ponderosa. Our goal is to raise at least $350 to plant 10 trees on school grounds. In January, we’ll send out a sign-up list if you’d like to volunteer to help with the tree planting. You can leave your donation of cash or check (made out to Charlemagne PTO) in the school office. Please make a note with your donation that it’s to support tree-planting. If you have questions about this project, please feel free to email Kathy Lynn at kathy.lynn.or@gmail.com. The next session of Young Rembrandts drawing classes starts Tuesday, Nov. 17, from 2:45-3:45 p.m. Classes are open to kids age 5-12 and the cost for the session is $36. About the program: Our elementary-age curriculum is designed to teach basic to advanced drawing skills, art techniques and vocabulary. We believe that drawing is the bedrock skill required for future artistic success. We give them skills to express their creativity, and believe that all children can – and should – learn to draw. You’ll see increased art abilities, learning skills, self-confidence and self-esteem. For more information and to register, visit the Young Rembrandts website atwww.youngrembrandts.com. To redeem your complimentary digital SmileSafe card, click here. Last reminder to keep this year’s school picture. Do you have news to share with the Charlemange community in our enews, Facebook page or website? Please email us with articles by Thursday at 5 p.m. to be included in the following week’s news. In honor of Thanksgiving, let’s remember those in our own school community. Please donate to Charlemagne’s Turkey Donation Drive Nov. 12–23. Confidential: If you are struggling financially, and could use some food assistance this Thanksgiving, please speak up. Don’t be shy (no questions asked), just call us. Please give your name to Julie Kim or to Bernadette in the main office. We will keep your name confidential. Please put Monday, Nov. 30 on your calendars to save the date for our first restaurant fundraiser of the academic year. Mazzi’s is open for dinner from 5-9:30 p.m., and they serve a variety of Italian foods, including wood-fired pizza, handmade pasta, lasagne, eggplant parmesan and other Italian classic menu items as well as a variety of seasonal seafood and meat specials, fresh salads with homemade dressings and a wide selection of wines, mixed drinks and desserts. They also have gluten-free options. Bring the family, make it a date night or order take out. Please be sure to print out the voucher — click here to get it — as Mazzi’s will only donate a portion of the proceeds of the meals purchased WITH the voucher. Thursday, Dec. 3, 2:45-4:45 p.m. Come pick up your poinsettias and join the holiday market for some holiday cheer while shopping for seasonal items. Sign ups for a table will be in the office. No fee to attend or have a table, but you must sign up to have a spot. Kids are encouraged to participate, and please, adults, sign up as well! Items featured for sale in the past: fancy cookies, soap, candles, hair ties, pottery, books, knitwear, and more. To volunteer to help set up or tear down, or to get general questions answered about this fun event, email Stephanie Hand at stephaniehand@comcast.net, or call 541.510.9595. 1st-5th grade students can receive free after school reading intervention services at University of Oregon. Students who are performing below benchmark are encouraged to apply. Services focus on alphabetic principle/phonics and fluency instruction, so the program is most beneficial for students performing below benchmark (strategic or intensive) in grades 1-2 and students needing more intensive support in grades 3-5. Students receive 50 minutes of direct instruction in reading using research-based intervention programs 2 times per week. Instruction is provided in small groups or one-on-one, depending on student need, and is delivered by undergraduate and graduate University of Oregon students. Tutoring takes place at the HEDCO Clinic on the UO campus. Space is limited and applications are accepted on a first come, first served basis. Any student in grades 1-5 who is performing below benchmark in reading is eligible to apply, though priority will be given to students with deficits in phonics and fluency. If more students apply than we have the capacity to serve, those students will be placed on a waiting list. Click here for the application packet to apply for these tutoring services. For more information or to submit your application, contact Shaheen Munir-McHill, coordinator of the CTL Reading Clinic at UO, at munir@uoregon.edu or Anna Ingram at annad@uoregon.edu. We submitted almost 2,000 Box Tops for Education before the Nov. 1 deadline, earning our school $199.80. Thank you to everyone who’s collected and turned in your Box Tops in the barrel outside the library. We’ll keep collecting them on an ongoing basis, so keep clipping them out on the products you already buy that have them. We need just the Box Tops coupon with the expiration date visible. Our goal for this year is $400. Make a donation to Charlemagne Elementary through PayPal. News from the Charlemagne PTO and Principal is in our weekly enewsletter. Copyright © 2019 Charlemagne Elementary, Eugene, Oregon.